This is Iori Writing. I am a new at Ichiroya. I’ve been working at this company for three months. I was in totally different field before. So for me, every day is exciting and being surrounded by lots of attractive kimono, obi and and others is so much fun. I do like them and am wearing my kimono for a ceremony of my kid this spring! Before I write today’s topic, let me introduce a little bit of myself. I have three kids, 6 years old girl, 3 years old boy and 1 year old girl. They are little monsters and do something unimaginable to me every day, but I really enjoy the time with them. Well, let’s get down to the topic. It is already February. Sometimes it is snowing here and I don't want to get out of the bed every morning. In this cold season, I am looking for a day coming soon........ the 14th February. As I mentioned, I like sweets. I loooooooooooove chocolates!!!!! I heard that men give a card or flowers to women on that day in Europe and America. In Japan, women give chocolates to men. When I was a student, I bought some chocolates called ‘Giri choco’ which are the chocolates to give boys those I think they are good friends. Then I make chocolates or other sweets by myself to give it to the one I love. That was a common. But now, I think a lot of women buy chocolates for themselves. Girls get or make chocolates called ‘Tomo choco’ which means ‘chocolates for friends’. They give chocolates to friends each other, not to boys. the top photo. Lots of people! They enjoy choosing chocolates. It is like an amusement park! 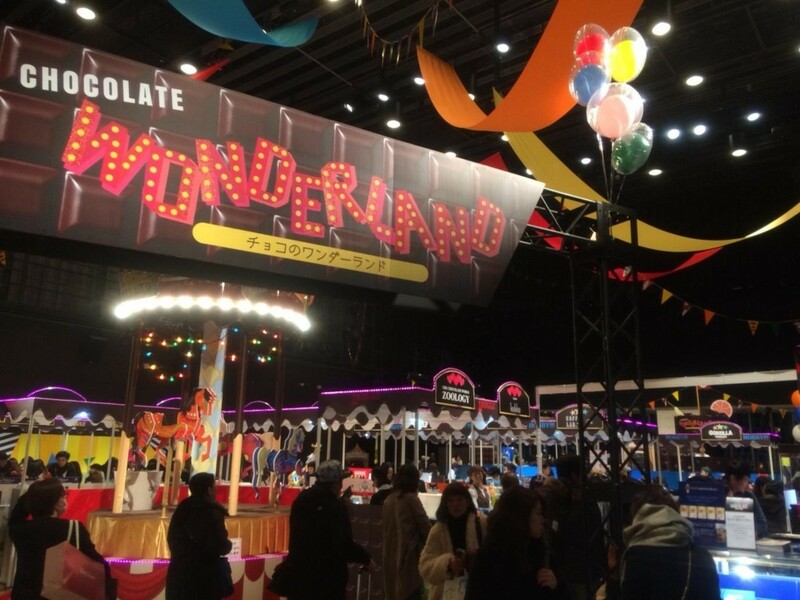 In this season, department stores have Valentine ’s Day fair. There are plenty of sweets shops ( over 90shops! ), some of them are from Europe such as France, Belgium, Switzerland and so on. So this is a big chance to get chocolates which I rarely get in Japan. It is just fun to look around. I bought them to my kids. Aren't they cute!? I couldn't eat them! But they are gone in a moment!! Hahaha!! 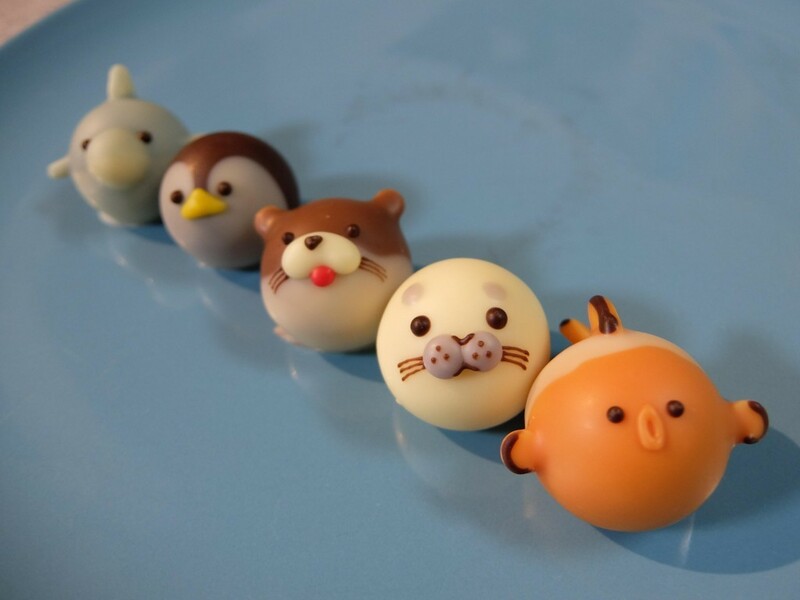 Look at these beautiful chocolates! They were made by the famous pastry in Japan. Each one has different flavor. 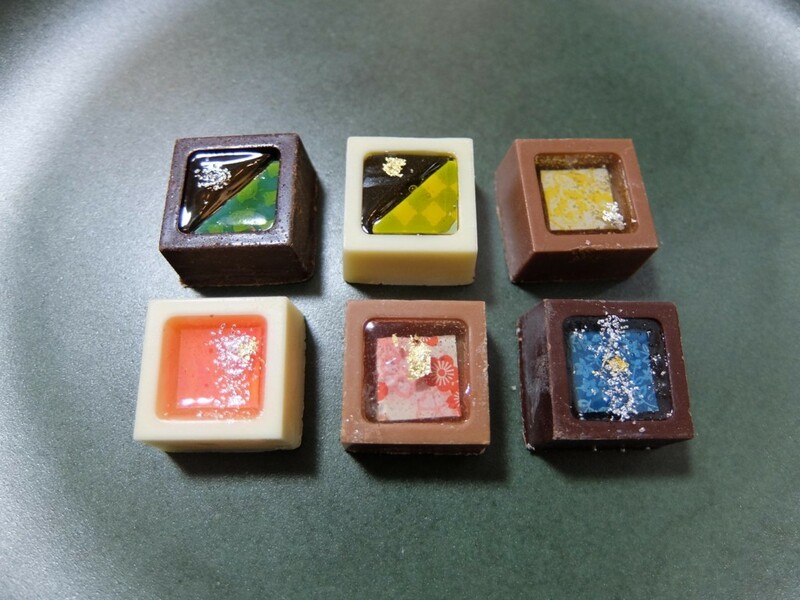 They put some fruits, green tea or Sake made in Japan in the chocolates with beautiful Japanese design. Well, I really enjoy the fair. I also like to read a paper that comes with chocolates. On the paper, each shop talks about their philosophy or their love to the products. After reading the paper, I ate those chocolates with feeling tasty even more. How about going out in Kimono? I hope you will have a happy Valentine’s day with your loved ones. Today, I would like to show you some Kimono, Obi and other items which are so KAWAII! I think they have Happy atmosphere! Thank you for reading my first news letter!